Now instead of Mr. West... it's Dr. West is in the building! 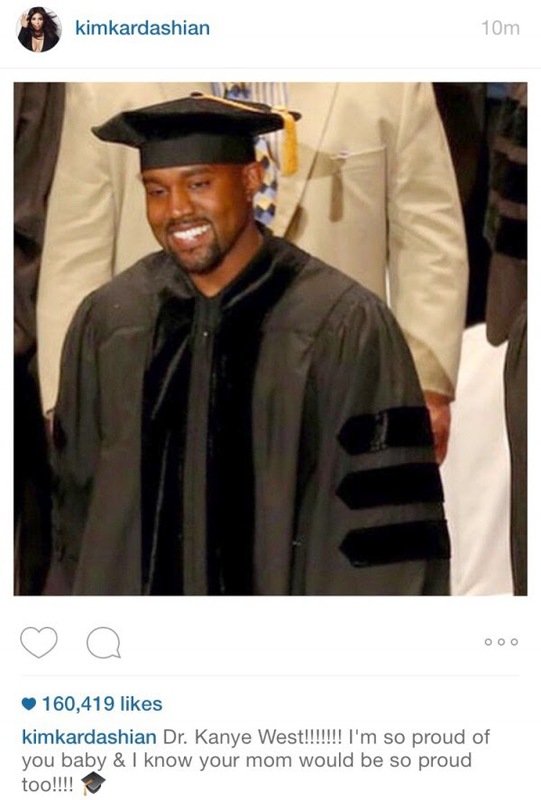 The Huffington Post reports: Kanye West might be a college dropout, but now he has an advanced degree. 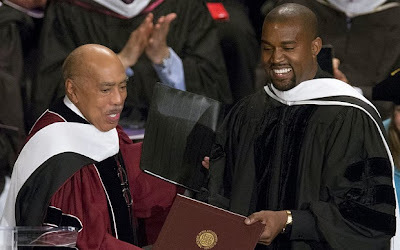 Lisa Wainwright, dean of faculty and vice president of academic administration at SAIC, told the Los Angeles Times that it had decided to give West the honorary degree after he publicly mentioned the school. 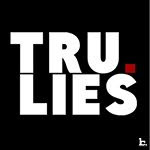 “I read it and thought, ‘Wow, this is a fantastic moment.’ Here is this major figure in the cultural landscape promoting art school, this guy from Chicago saying art school is cool. So we thought, ‘This man deserves an honorary doctorate from us!’ He should have gone here."